The Minehead Harriers have long been known as one of the friendliest packs with which to hunt. There is always a very warm welcome for our visitors both riding and on foot and almost every meet is a lawn meet! 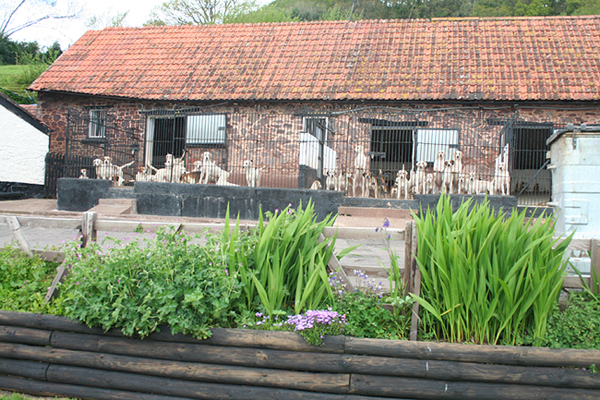 Our kennels are situated in the village of Wootton Courtenay, near Minehead in Somerset. We trail hunt twice weekly, on Wednesday and Saturday. Our country lies within the Exmoor National Park with its many herds of native ponies and red deer; we trail hunt over open moorland, pasture and forestry. The country, though small, is diverse, with dramatic views across the sea towards Wales. To the north, between the attractive villages of Dunster and Porlock Weir the moor drops steeply down through ancient woodland to the sea. Since the 2004 Hunting Act, we have successfully retrained our hounds to trail hunt. The music from our little Harriers is exquisite once they lay on the line of the trail. To come and have a day with us you will need to ring one of our Secretaries. You could bring your own horse and stable in one of the many yards set up for hunting; most do B&B on site. Otherwise, treat yourself and stay in a hotel. Then you can hire a horse for your needs. We look forward to giving you a memorable visit.